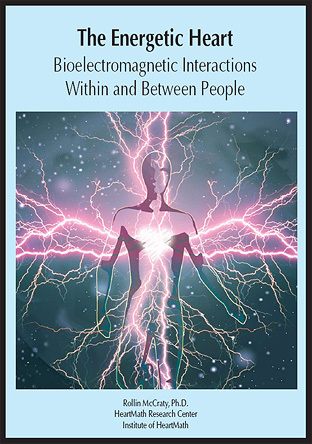 This fascinating monograph, The Energetic Heart explains the bioelectromagnetic interactions within and between people. Did you know that when you’re not consciously communicating with others, our physiological systems are interacting in subtle and surprising ways? Or that the electromagnetic signal produced by your heart is registered in the brain waves of people around you? Or that your physiological responses sync up with your mate’s during empathetic interactions? Discover why the heart’s electromagnetic field is believed to act as a central synchronizing signal within the body, an important carrier of emotional information and a key mediator of energetic interactions between people. This 20-page monograph, explores the HeartMath Institute’s and others’ research on bioelectromagnetic interactions and how living and acting from a coherent heart state can affect those around us. Conclusions and Implications for Clinical Practice.